I've had the 3G slide phone for approx 1 yr and had to send it back for the 3rd time for replacement. The problem seems to arise when using either the USB for the computer or car charger. The pins inside of the phone is quite fragile and will bend, thus causing the phone not to charge by car, AC or USB. Its a good phone otherwise. i reconmend you should not get the mytouch slide 3g it is really badd it always glitch and the screen just stops working, i had my second one for 4 month? and its already acting the same as my first one and i never dropped it once and it still acts glitchy bad phone do not get it >. hello fellow users.... im louis christian... got this fone some couple o'weeks ago buh dnt still know how to root... can someone tutor me? i'll be grtful for the help... and has anyone been able to download screenshot app? does the fone accept assasins creed hd? Ive had myTouch 3G SLide for about a week now, but my camera stopped working for almost the same time. Pls how can I correct this? 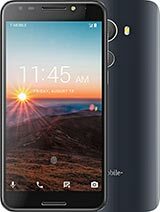 Can this phone run Andriod 2.3 and how do you loose default T_mobile themes and the installed unecessary apps. I've had this phone for coming on a year now. It's quite excellent, takes being dropped well, and the keyboard is very easy to use. The only cons are the camera won't work if there is any movement at all, and when holding the phone sideways (when using the keyboard) the wifi will sometimes cut out (likely due to finger placement). I would still highly suggest this phone however. Ive had this phone for six months. The cons of this devise is that it is quite bulky and slips easily out of your hands due to size, weight, and flimsy plastic shell. Also, the app store can lag sometimes, and the messages can be slow to load. And it takes hours to erase texts if you have more than say, 800. So I was very displeased when I had to delete over 2000 messages. (I didn't know prior it would take so long) the last complaint I have is that a three foot drop from slipping thru my fingers caused the inside of the phone to jumble up, and loosened the sim chip. Overall, I give this phone a 3 out of 5. It could be better if the shell of the phone was rubberized, and they speed up the deletion of texts to a more reasonable rate. I'm getting rid of this phone in 2 days to get the motorola defy. So far, I've felt and seen this devise and I am much more pleased with it than the mytouch slide. 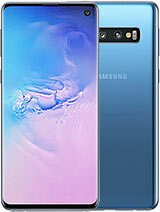 I suggest you do not get this phone unless its on some special, because for 70 dollars less, its worth it, but not when the price is where it is. one of the best phone ever !! Jim, 21 Dec 2010Pleaseeeeee anyone knows when the update is going to come out. I means froyo 2.2 or 2.3 whiche... moreFroyo came out about 2 weeks ago and it's made an improvement to the phone. I bought this phone about a week ago, Even though the phone has s 600mz processor, the phone is very fast. I notice no noticable lagging unless playing games. The phone is very user friendly and the physical keyboard is very intuitive. How can I use like a modem? Jim, 21 Dec 2010Pleaseeeeee anyone knows when the update is going to come out. I means froyo 2.2 or 2.3 whiche... morewhy not just root and install cyanogen? does anybody know how ca i fwd a msg to multiple friends ?? like i didnt found any option for groups or creating a friends/family list ??? raj, 25 Jan 2011guys, i am in chennai.after seeing the review, would like to go for mts 3g slide. can you t... moreThis is a nice phone man.